Contact Roger for more information and to discuss pricing options. Are you a leader in your organization? Is your mission about enriching the lives of your customers, staff, or members? 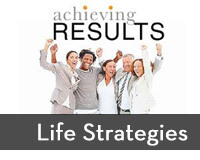 I offer a number of programs in personal growth and family relationships. These programs touch hearts and unleash potential. I can deliver these programs OR I will provide you with the resources (comprehensive leader’s guides and participant manuals) and train you or others in your organization to deliver the content. If you like, I’ll also provide you digital files with the material so you can private label it, adapt it to your culture, and brand it as your own. My goal is to get them to as many people as possible. Is there something more to life? Are you holding back? 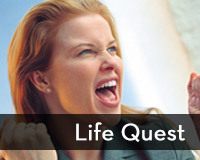 What would it take to break through to new levels of success and fulfillment?Life Quest is an inspiring program designed to awaken you to the possibilities of your life and live with purpose and passion. You will explore issues at the heart of who you are—your life’s purpose, the needs that drive you, the rules by which you live—and then craft a master plan to achieve an extraordinary life. An advanced program on personal empowerment and achieving results that has become a life-changing experience for thousands of people. This retreat will enable you to live from vision, integrity, commitment, personal responsibility, and love and acceptance of others.It will give you the confidence and power to make strengthening choices that lead to personal meaning, confidence and joy. Most people enter marriage filled with love, ecstasy and the highest of hopes. 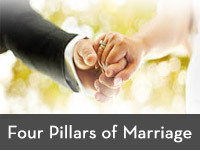 Nothing has greater potential for making us happy than marriage.Yet somewhere along the way the enchantment of marriage turns to disappointment for so many couples.What goes wrong in marriage and what can couples do to fix it? Our most important work goes on within the walls of our homes. 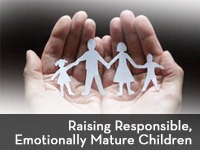 This workshop will teach you principles and skills to communicate with your children (from toddlers to teens) in ways that build trust, increase their self-worth, foster emotional maturity, and instill an attitude of personal responsibility.